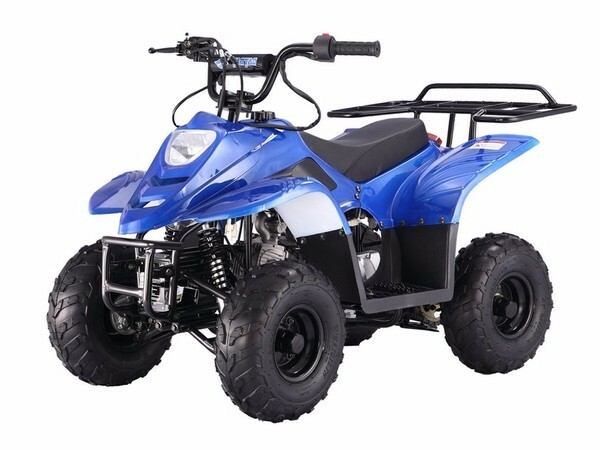 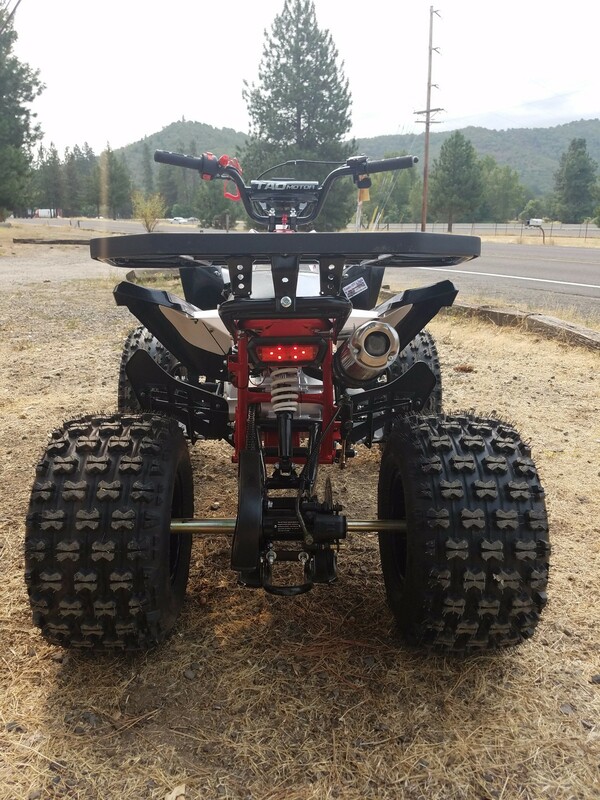 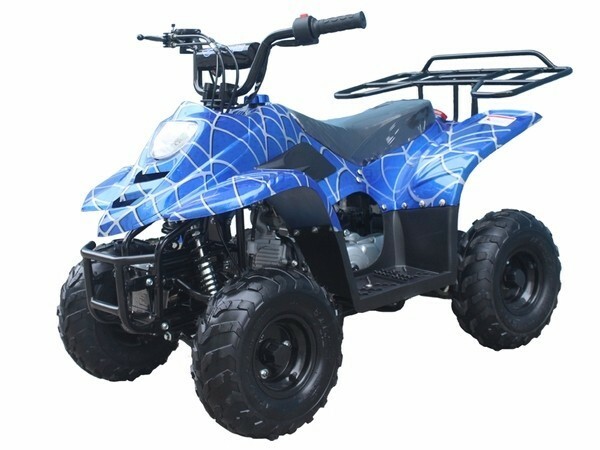 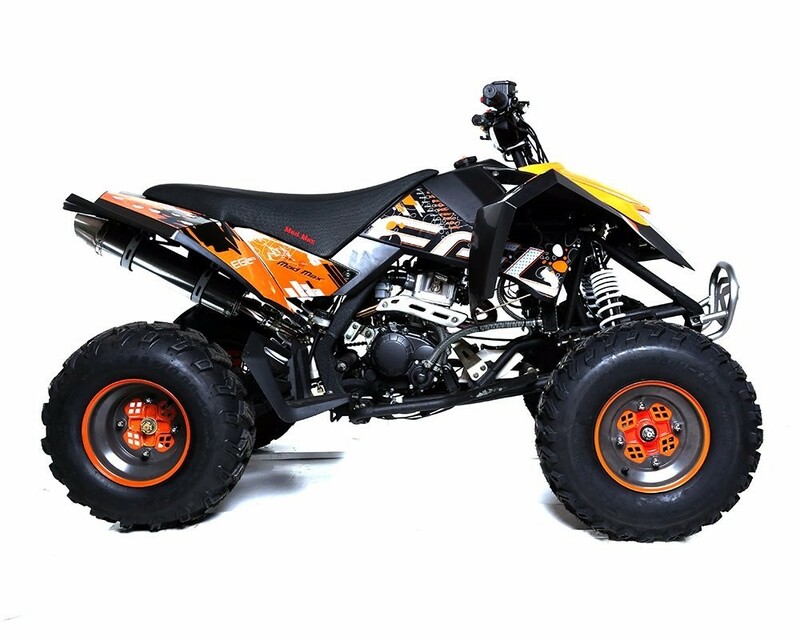 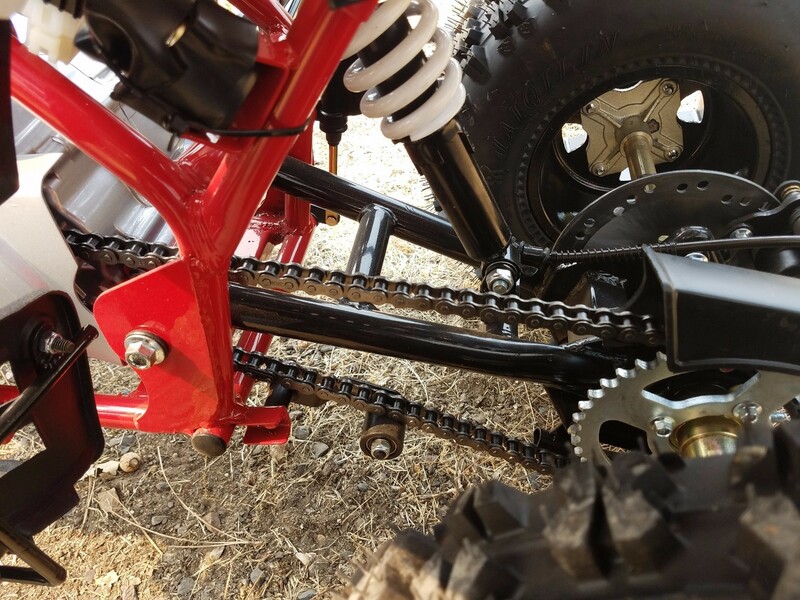 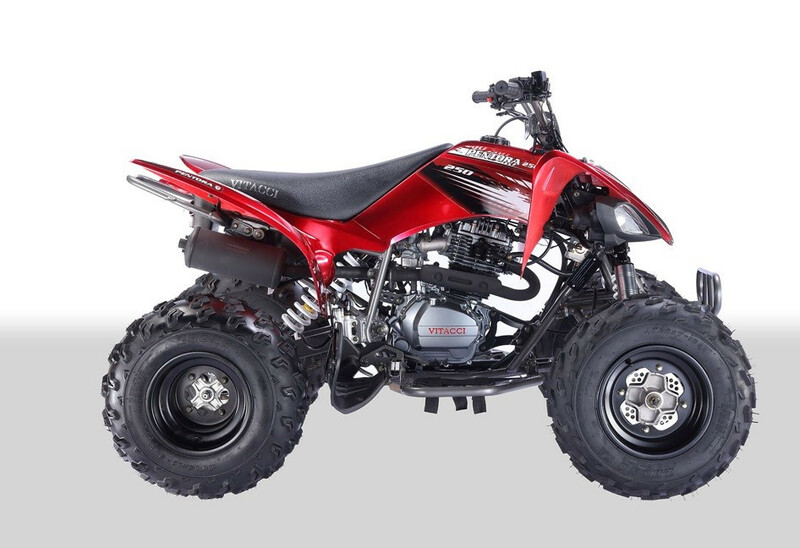 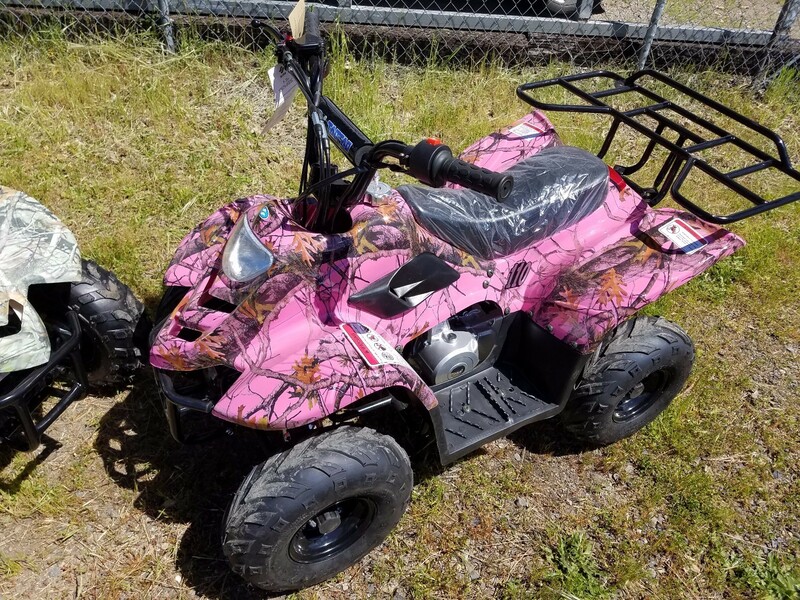 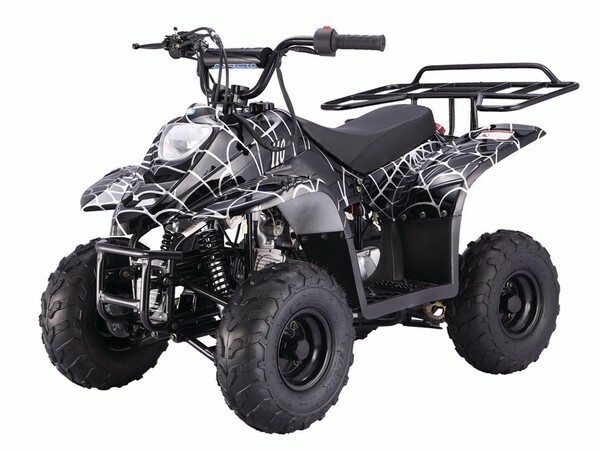 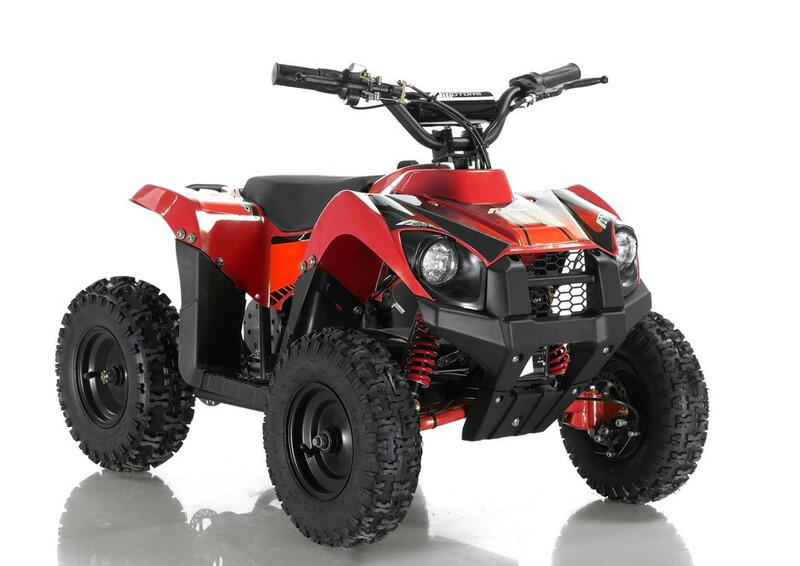 Our most popular youth starter ATV is packed with parental controls and safety features!​​ They are CSPC approved and eligible for free training! 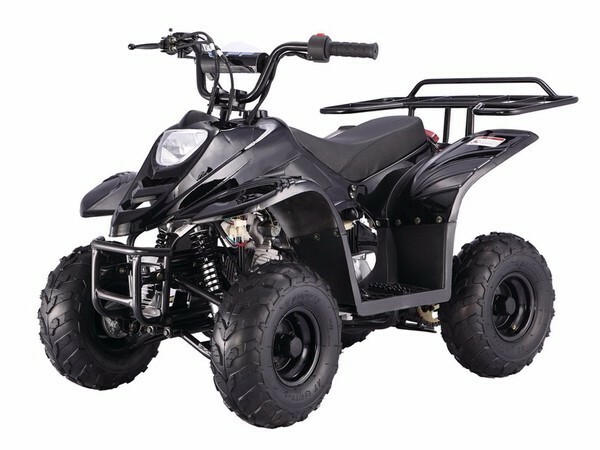 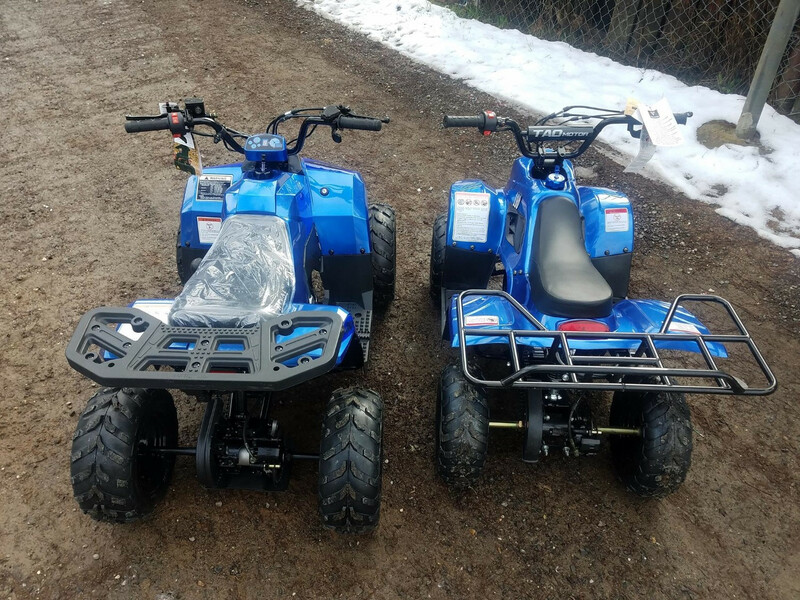 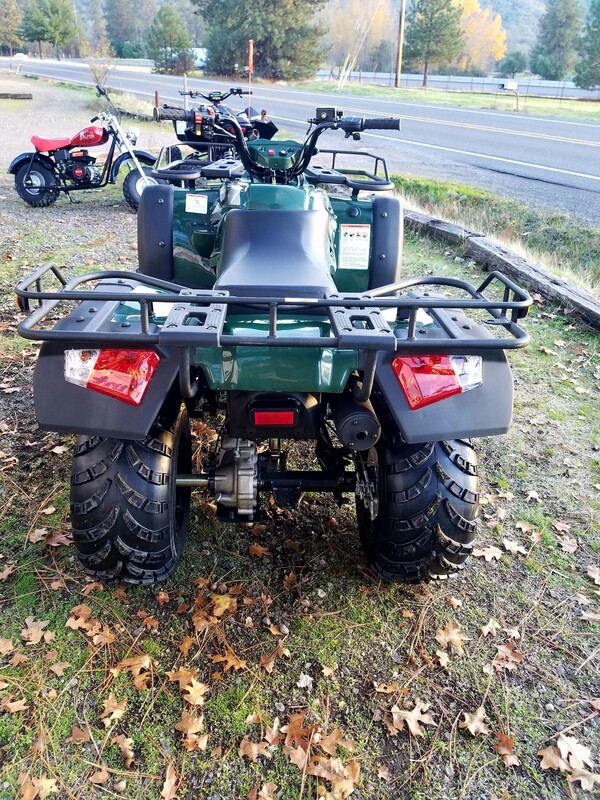 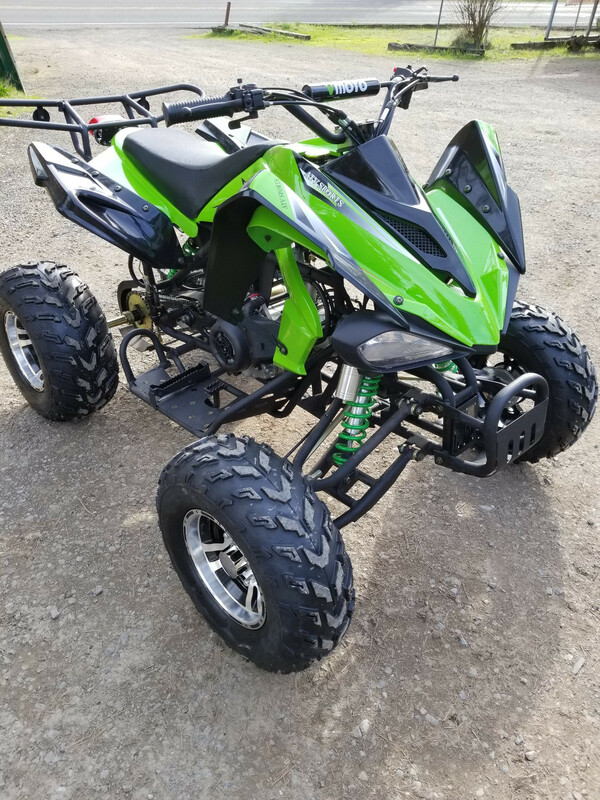 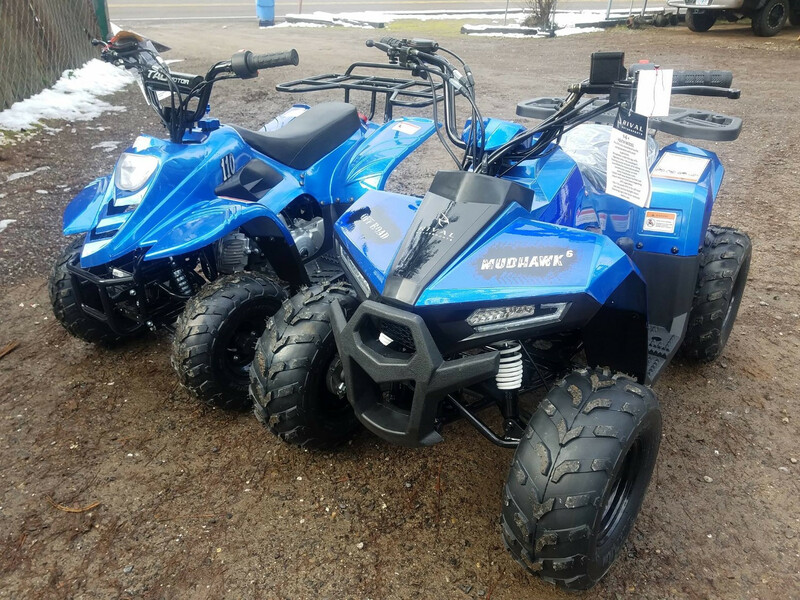 The affordable priced ATVs listed on this page are a representation of what we currently have available. 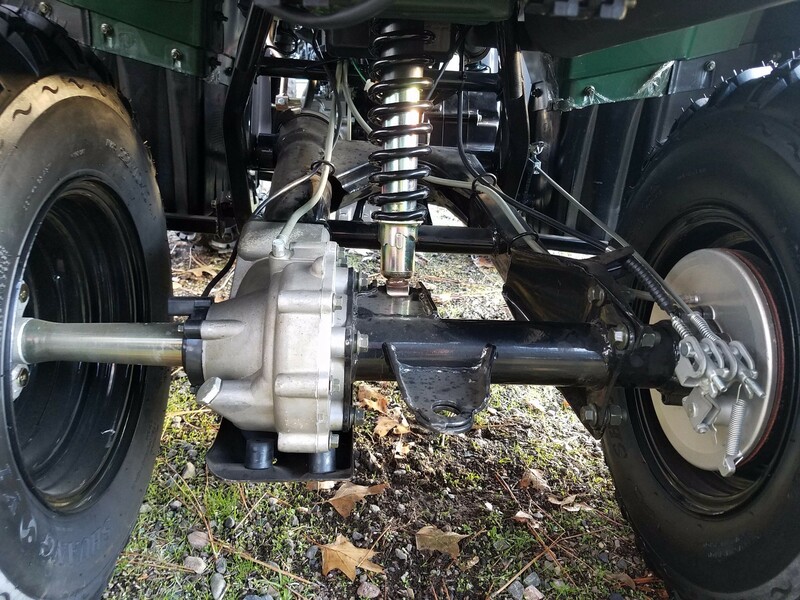 Please call for most current updates. 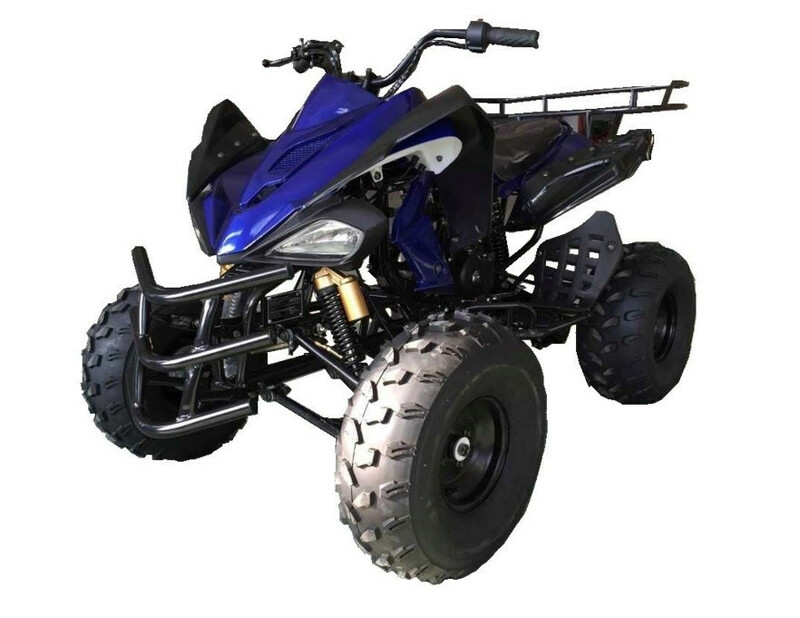 Note: Intended user of ATVs must meet CPSC Age rating in order to make purchase. 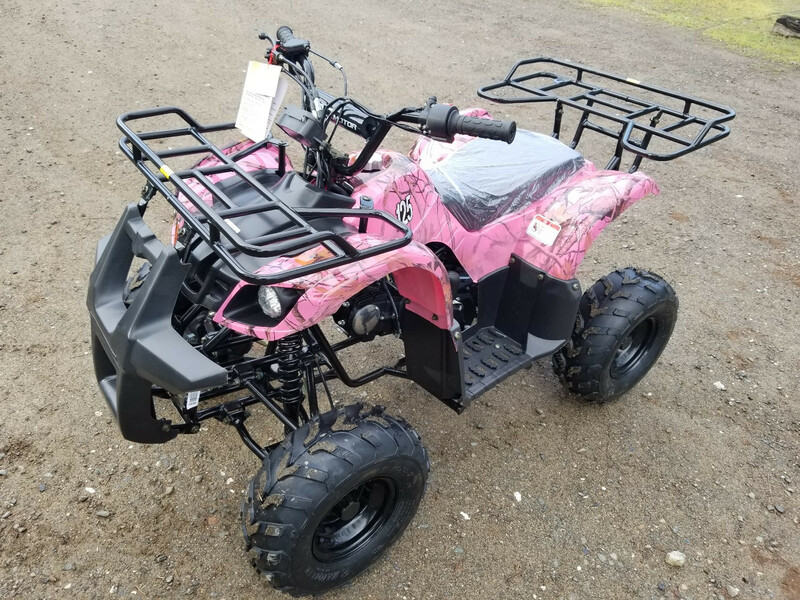 Back to 'Current Inventory' page. 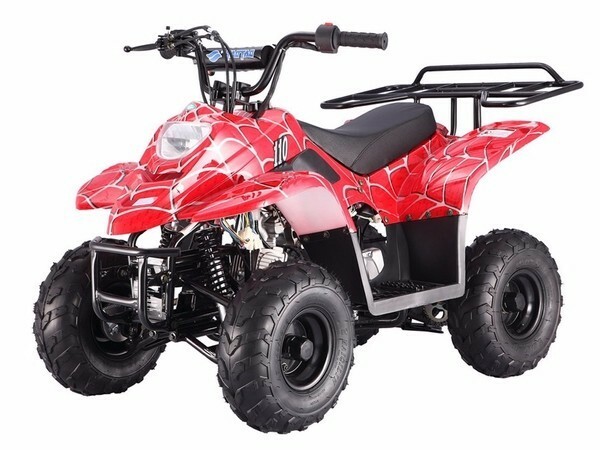 We have the new Tao Motor 'New Cheetah' sport 125s in stock now! 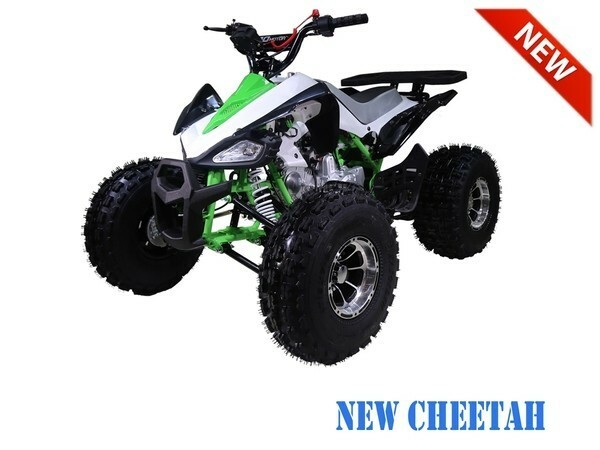 Fully upgraded over previous Cheetah models! 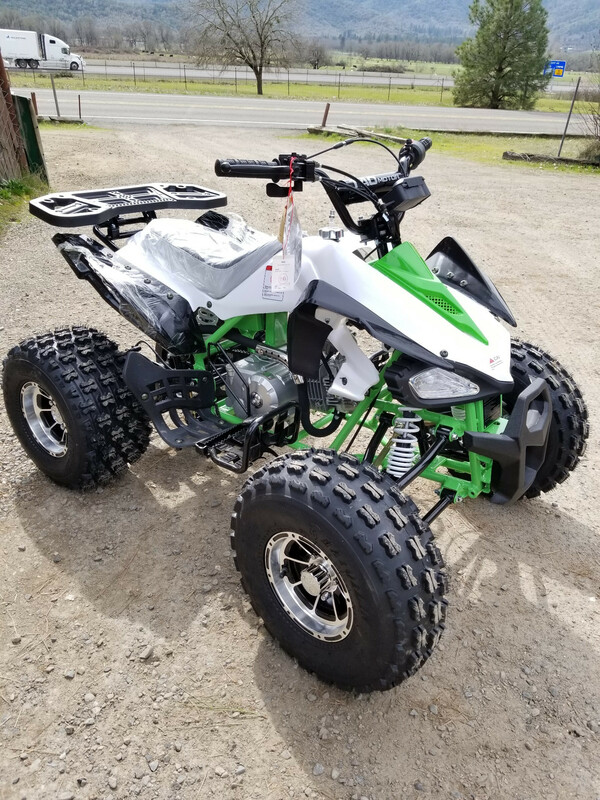 More HP, performance style muffler, color match painted frames, upgraded alloy wheels and upgraded tires, upgraded KMC chain and added chain tensioner, softer hand grips, hour meter, nicer LED tail light, and a quality feel! 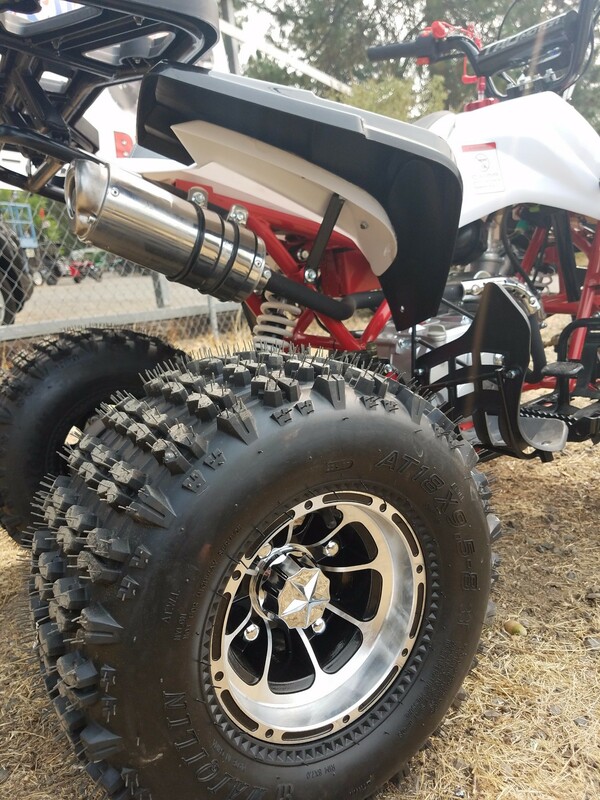 These have been a very popular unit! 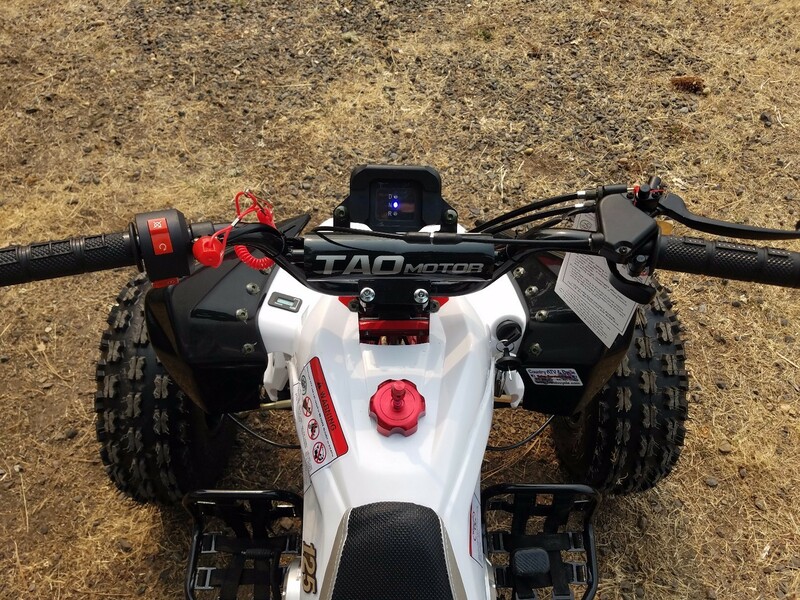 Attention customers who have purchased a TaoTao ATV unit, or in the market for one - Per TaoTao: If you or your child completes the ATV Safety Institute free training and submit a copy of your completion certificate to TaoTao, you will be eligible for a $50 check and a piece of safety gear or another $50 certificate if gear isn't available. 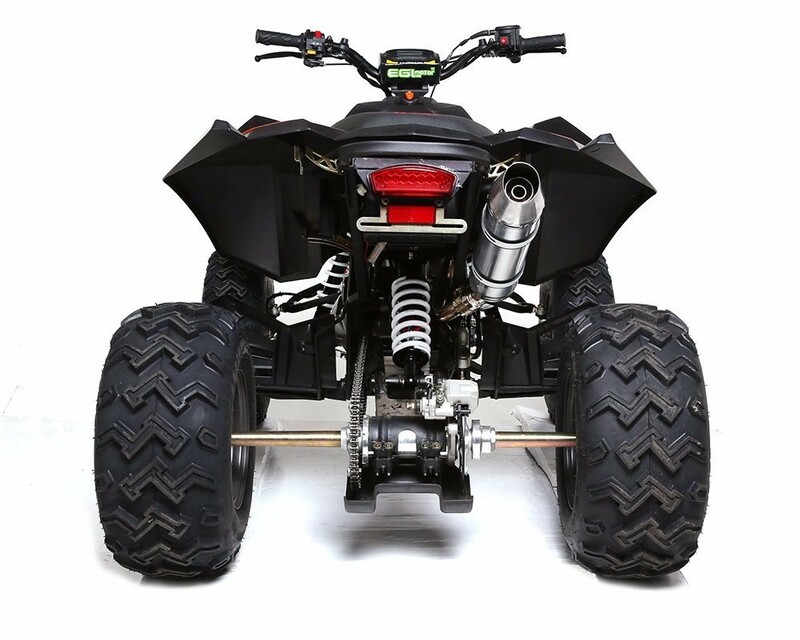 This will currently be valid for hands on, or online courses (for a short time), for one person per family. 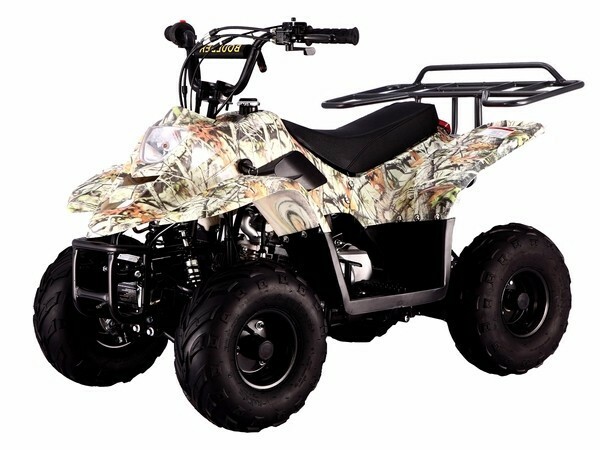 Go to http://www.atvsafety.org/ to get set up! 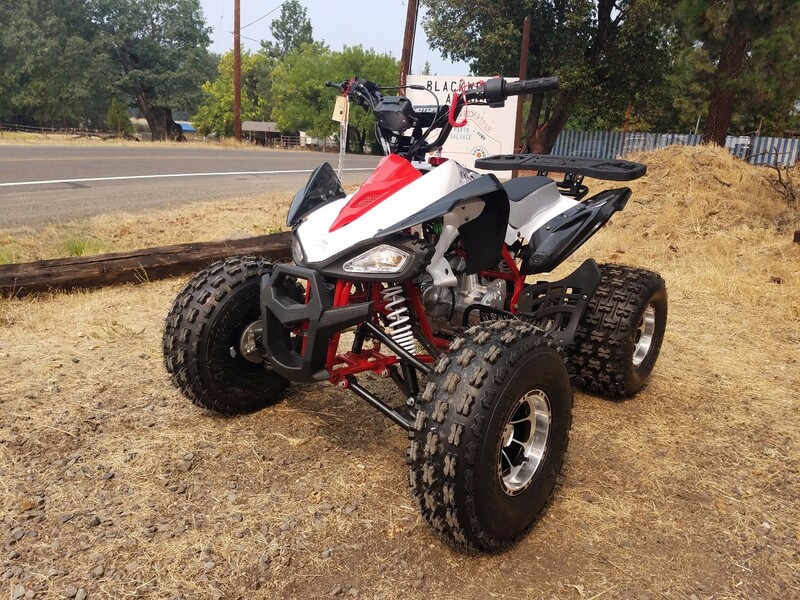 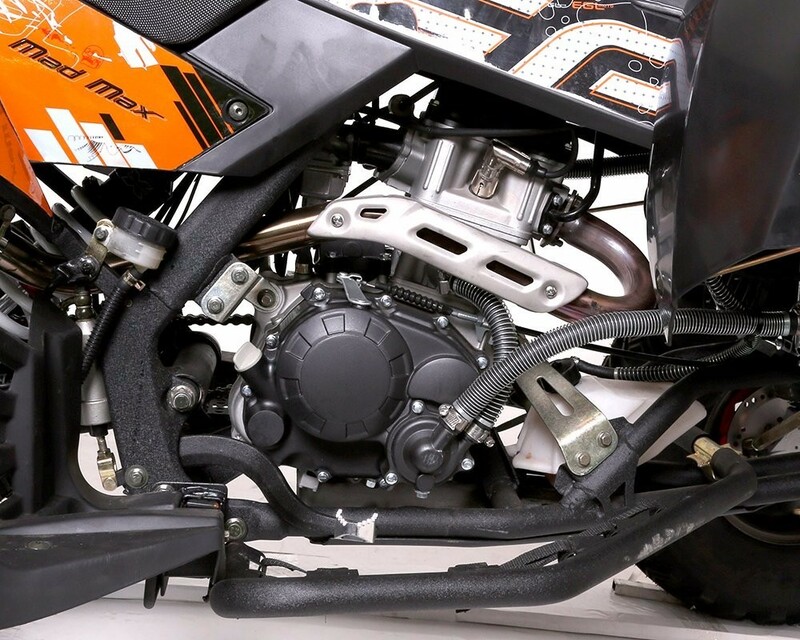 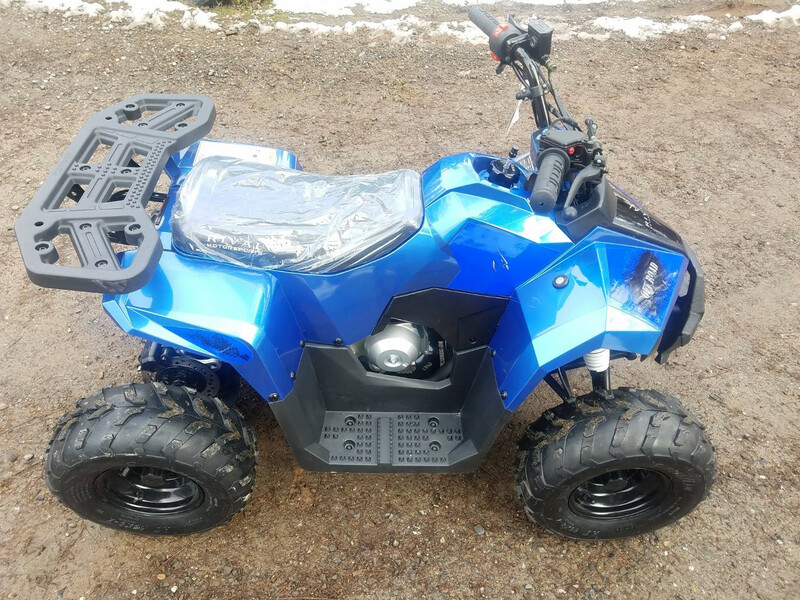 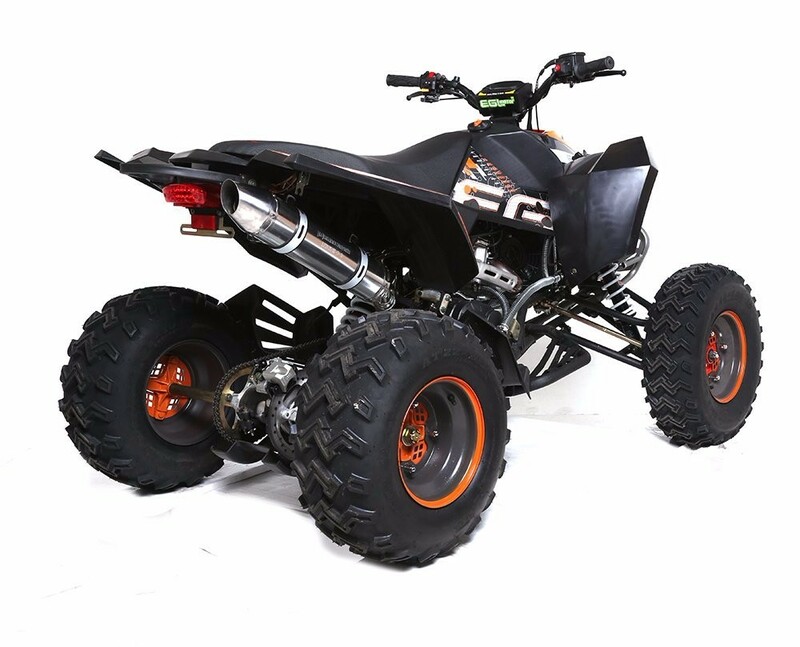 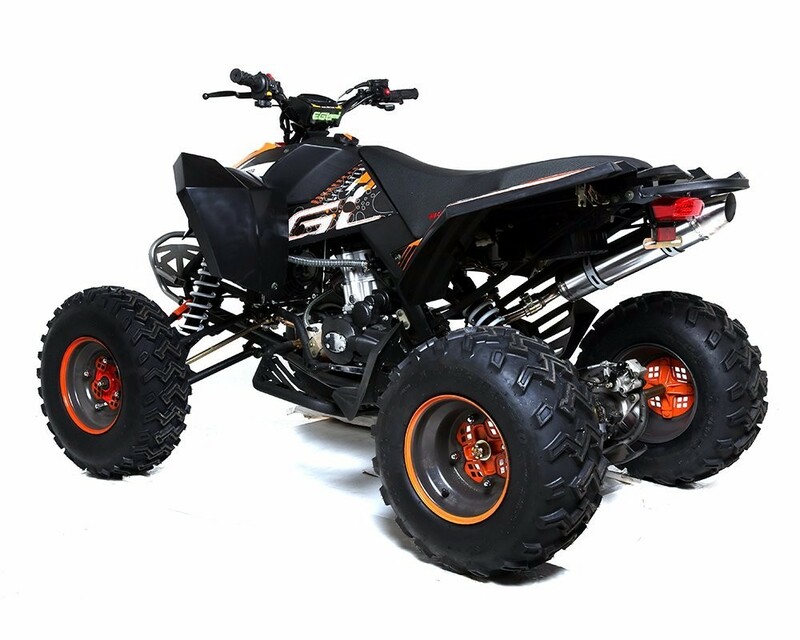 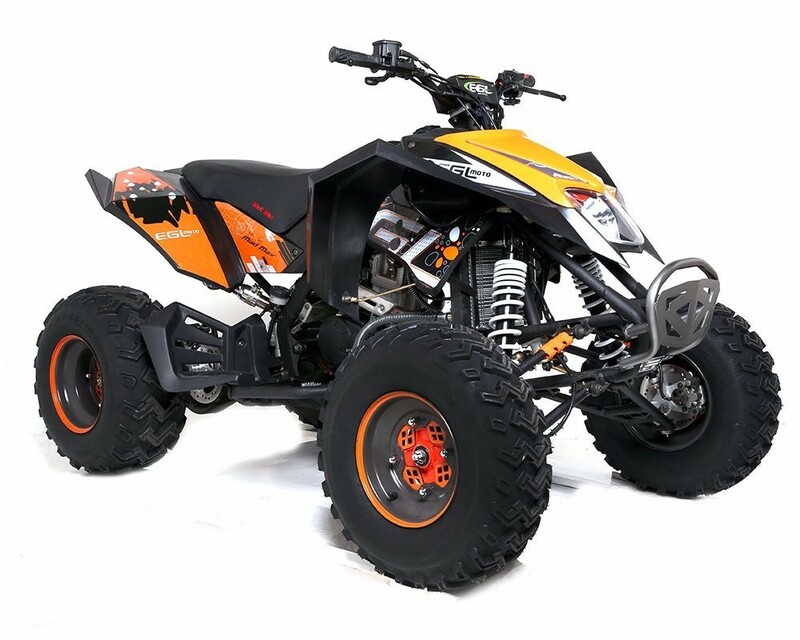 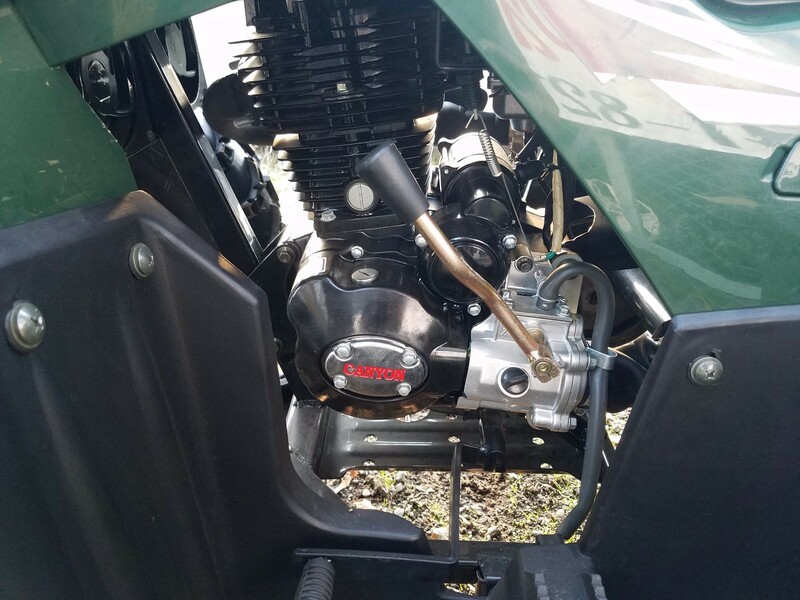 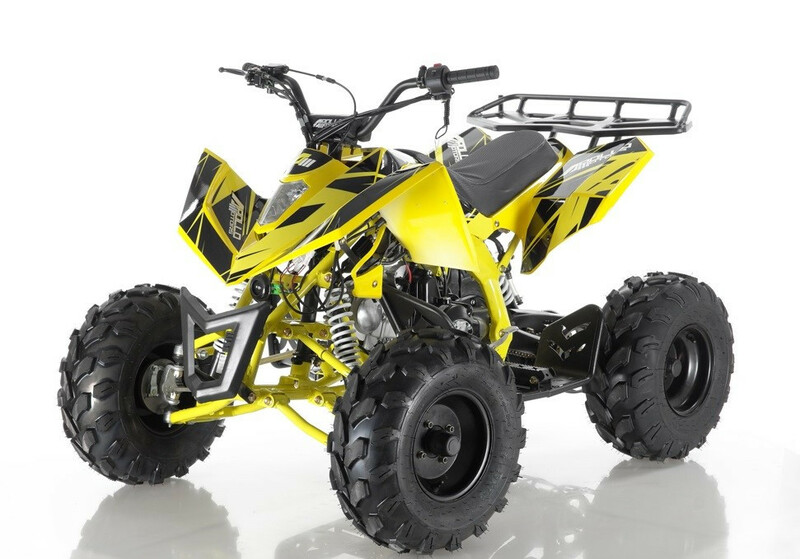 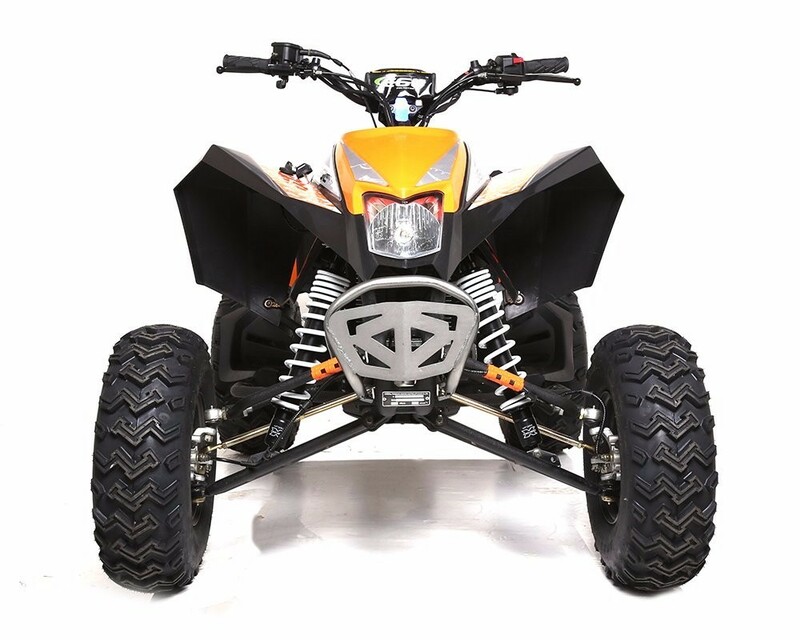 ​​The EGL Moto Mad Max 250cc sport ATV is a well built Y16+ full size adult unit that comes equipped with an electric start water cooled 250cc 4 stroke engine with a 4 speed manual clutch with reverse. 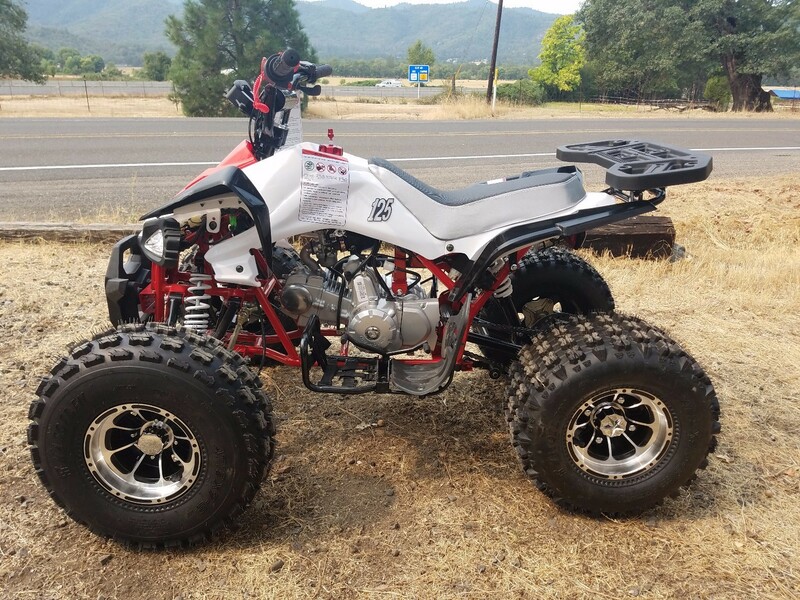 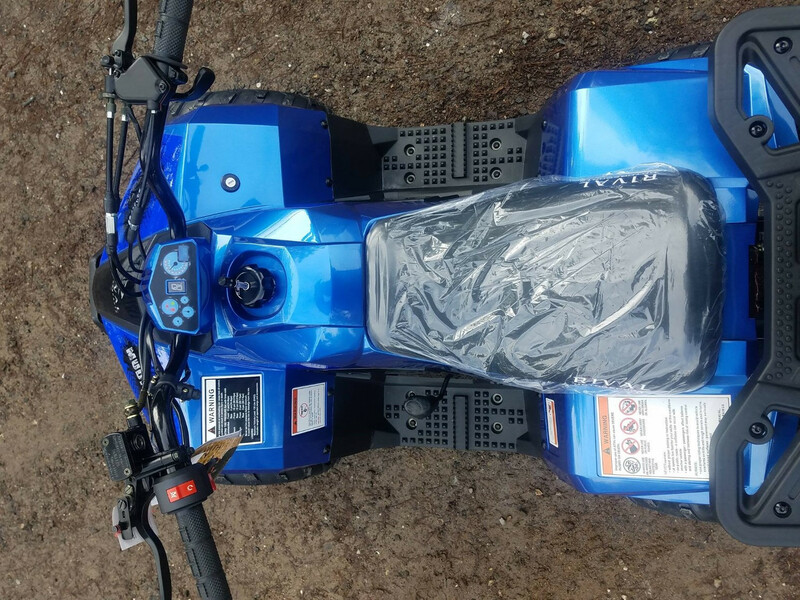 This unit comes with 10"aluminum wheels, impressive long travel sport suspension and an adjustable rear shock, front and rear disc brakes, nerf bars, digital display with speedometer, tachometer and gear indicator, sport style swingarm/carrier and adjuster, crinkle power coated frame, and grease zerk fittings. 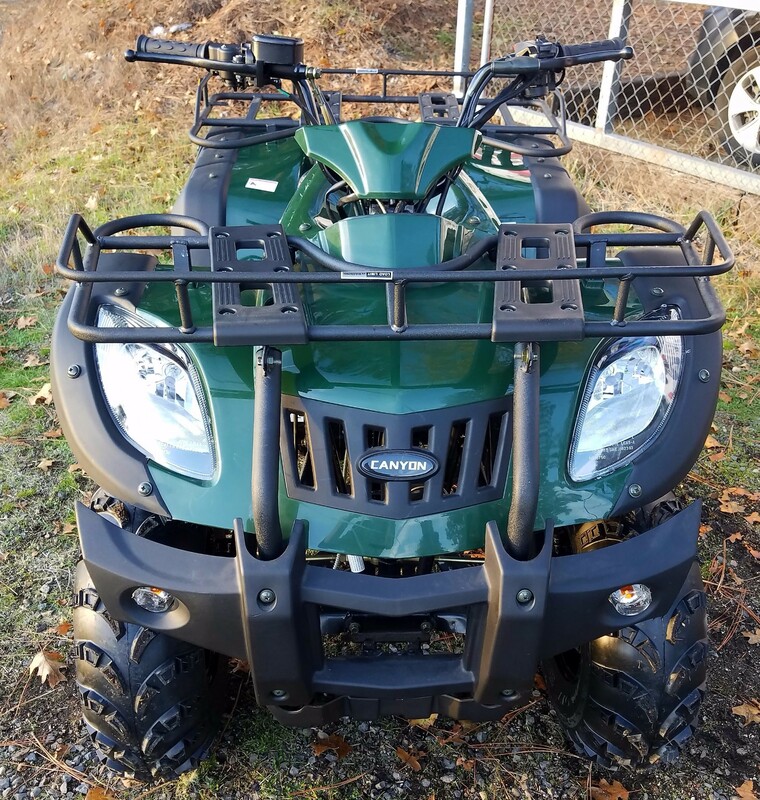 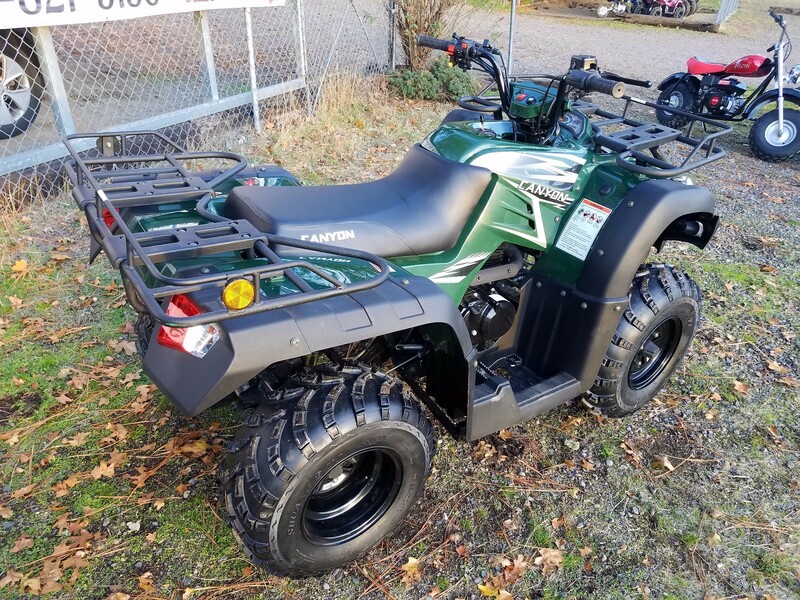 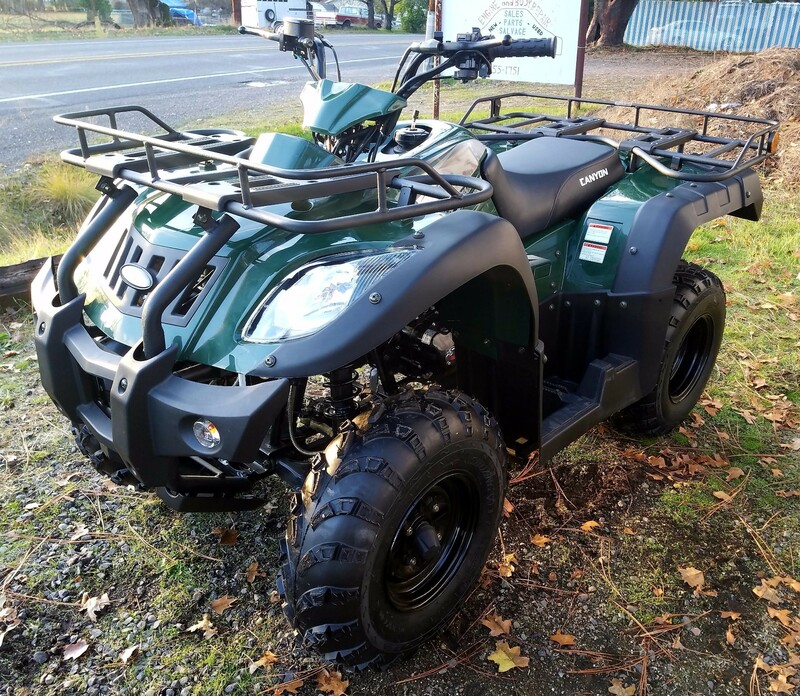 The RPS Canyon 250cc is a Y16+ full size adult 2WD utility ATV with a 5 speed semi-automatic transmission with reverse, fan cooled 4 stroke engine, shaft driven, 600 pound towing capacity, 352 pound carrying capacity, tow hitch for ball mount, 10" wheels, minimum ground clearance of 8.66", front hydraulic disc brakes with rear drum, speedometer and gear indicator dash, front & rear racks. 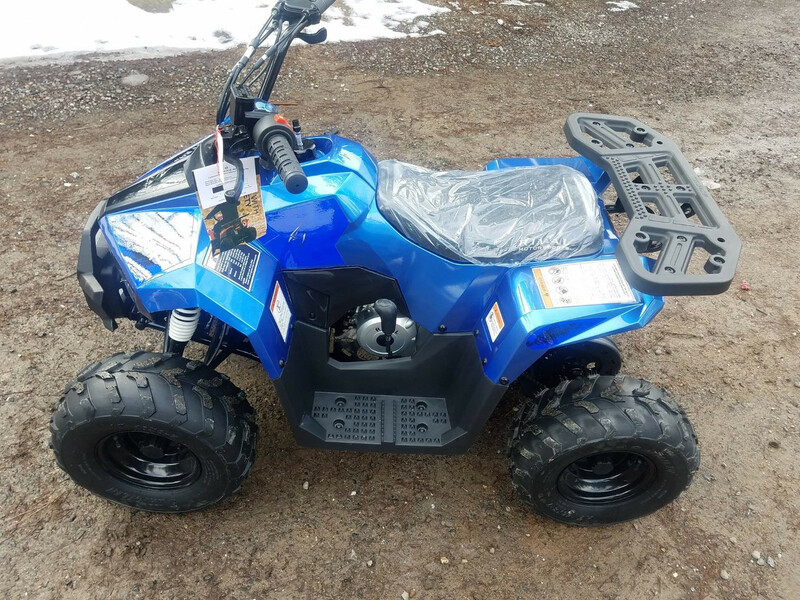 This is a high quality utility ATV for an affordable price with these features! 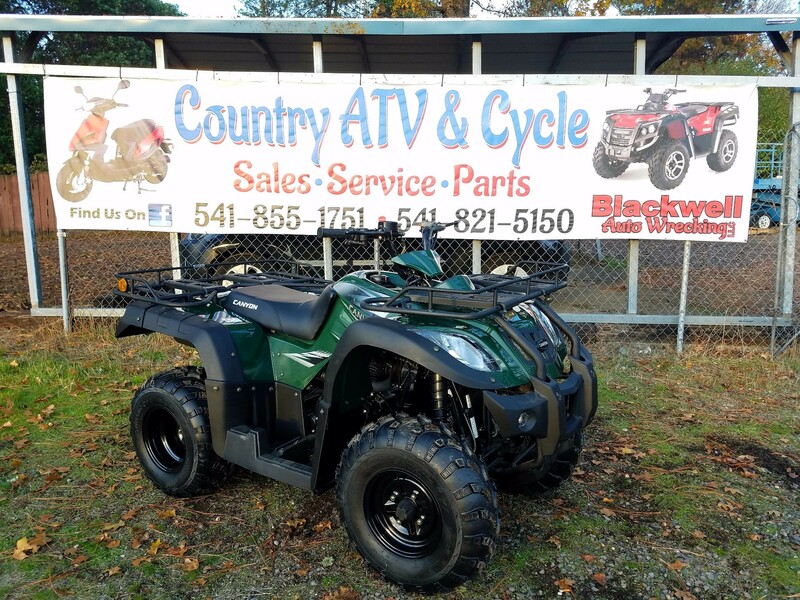 Rival Motorsports Mudhawk 6 110cc Youth ATV Y6+ $1099 w/ 6 month parts & labor warranty! 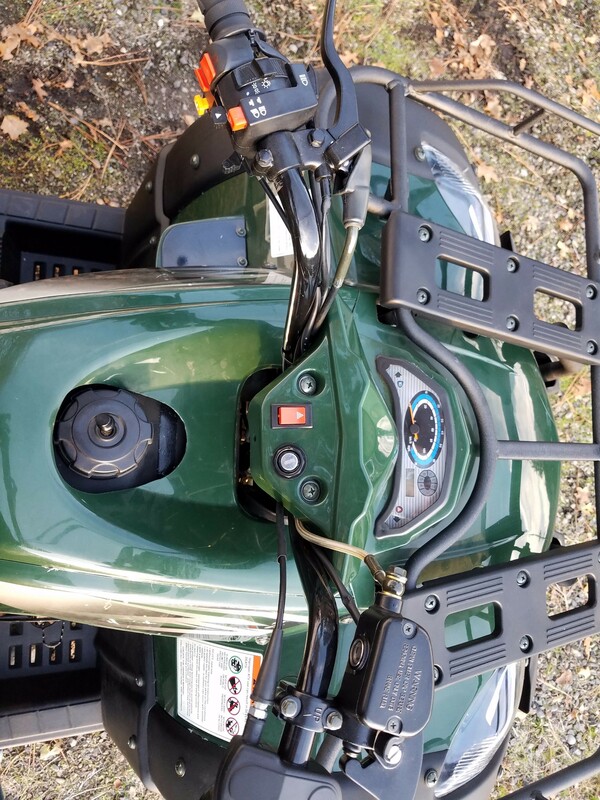 Rear Rack Capacity 33 lbs. 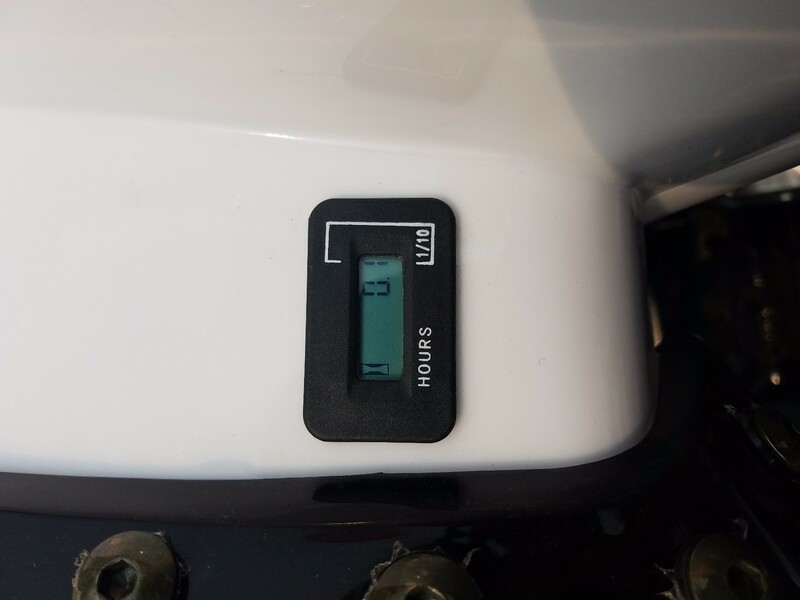 Fuel Tank Capacity .58 gal. 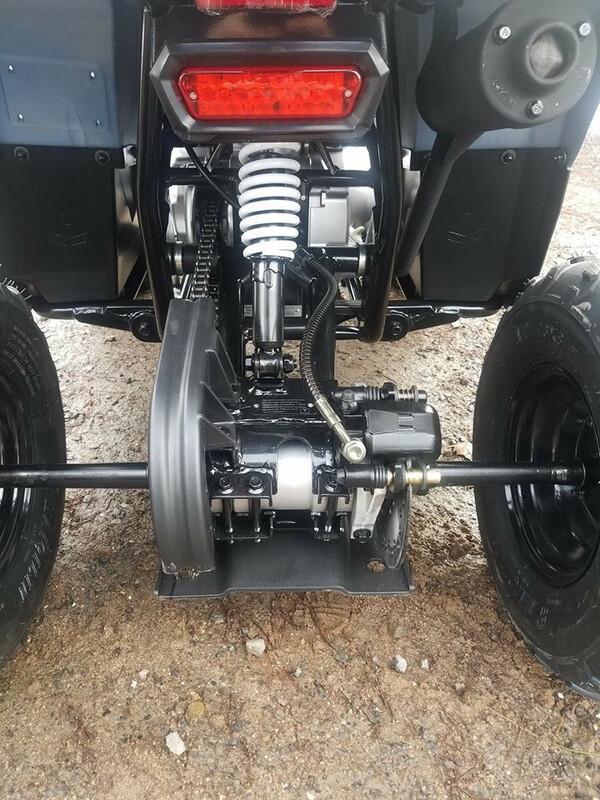 Estimated Dry Weight 185 lbs.